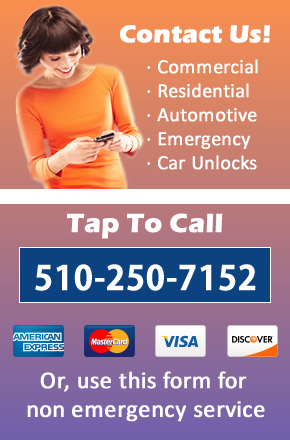 $19 LOCKSMITH Berkeley CA | OPEN 24 HOURS | TOP RATED! 510 Locksmith Berkeley CA is your local Berkeley locksmith serving Berkeley, California and the surrounding communities. If you need help with any type of locksmith service give us a call. You will be glad to know that we are an entirely mobile service and we come to your location to perform work. We are available 24 hours a day, 7 days a week. We perform emergency work as well as by appointment. 510 Locksmith Berkeley has been in the locksmith business for over 10 years. We understand how it feels to be locked out of your car, house, apartment or condo and how you just want to get the problem solved and back about your business. Believe it or not, the owner of 510 Locksmith Berkeley has locked himself out of his own car in the past while out of town. We can relate to how you feel and the position you are in. That is why we do everything we can to get to you fast and get you back on your way. Sometimes you need a locksmith fast, sometimes you need a locksmith that shows up on time. 510 Locksmith Berkeley can do both! We provide emergency locksmith services in Berkeley, CA as well as service by appointment. Give us a call and we can help you sort out whatever type of situation you may be in. At 510 Locksmith Berkeley, we don’t just hire any locksmith off the street. We background check all of our hires and make sure they have the proper training for the type of jobs we are sending them on. Our technicians are trained in commercial, residential and automotive locksmith services. When it comes to choosing a locksmith you don’t want to mess around. Go with the best: 510 Locksmith Berkeley. 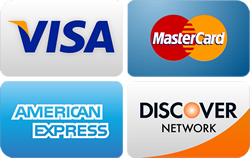 We have the best prices, fastest response times and expert technicians. Call us for a phone estimate or to have one of out locksmiths dispatched to your location. We are open 24 hours for emergency work but we also take appointments for non emergency locksmith work. To get in touch with us just call (510) 250-7152 or fill out the call back form on the right. We will be right there! Fantastic Locksmith Service! I called, they came quickly, the price was affordable and their service was outstanding. Highly recommend 510 Locksmith Berkeley!